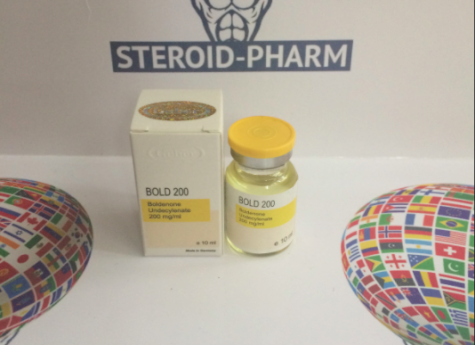 BOLD 200 (Boldenone Undeclynate) is a steroid drug. The active substance performs an anabolic and androgenic effect. Initially, BOLD 200 was released for other purposes, and received ACC, which had other characteristics. He is no worse than testosterone for anabolic effects. Androgen activity is slightly less. BOLD 200 and Nandrolone are steroids that affect differently. BOLD 200 has similarities with testosterone. When taking BOLD 200 increases the increase in muscle mass. Slow action will add volume to the muscles. Depending on the ether (acetate or propionate), the speed of the effect depends. The body weight increases. The production of blood cells is also stimulated. Muscles work more actively and efficiently. BOLD 200 is widely spread among bodybiulders. For men, the standard BOLD 200 solo course is 8 to 10 weeks, 0.4-0.8 mg once a week. Women are recommended a more gentle dosage of 50-100 mg. Reception of the drug should be under the supervision of a specialist. Dosage is selected individually, taking into account the previous experience of taking steroid preparations, individual characteristics of the organism and the purpose. Begin taking BOLD 200 recommended with small dosages, gradually increasing them. This scheme will provide an opportunity to trace the reaction and work of the drug in the body. Combine BOLD 200 depending on the expected result. For drying, Anavar and Winstrol fit, for weight gain - Trenbolone and Testosterone (no more than 6 weeks), also add anti-estrogens. In the period after the course therapy receive boosters 1 month, starting from 2 weeks after the end of the course. This will help a quick recovery. For enlarging muscle mass. BOLD 0.2-0.25 g / l + testosterone enanthate. You can add or Proviron, Letrozole. Equipoz take from 1 to 8 weeks of 0.8 g. Testosterone enanthate is 500 mg every week. Anastrazole from 10th week 0.5 tablets day after day. From 11 to 14 weeks, Tamoxifen 20 mg per day, gradually reducing till the end of course to 10 mg. This course is good for beginners. The scheme eliminates estrogenic and androgenic effects. For drying. 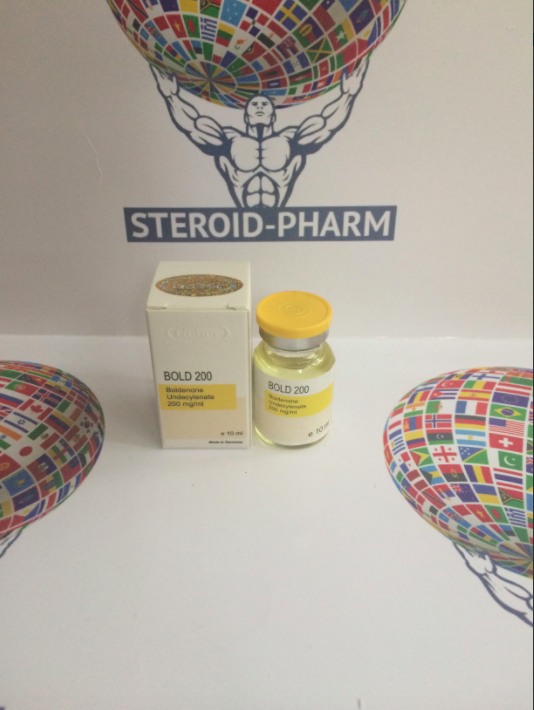 BOLD 200 mg / ml + testosterone propionate 100 mg / ml + Winstrol 50 mg / ml. Winstrol is added for 6-10 weeks. The scheme allows you to gain the volume of muscle mass. Athletes assert that the strength indicators are increasing. Efficacy is well manifested in both solo use and in the combination of several drugs. Women who take the drug at the lowest dose and follow the instructions of specialists say there are no side effects. Weight is collected slowly, but efficiently and qualitatively.